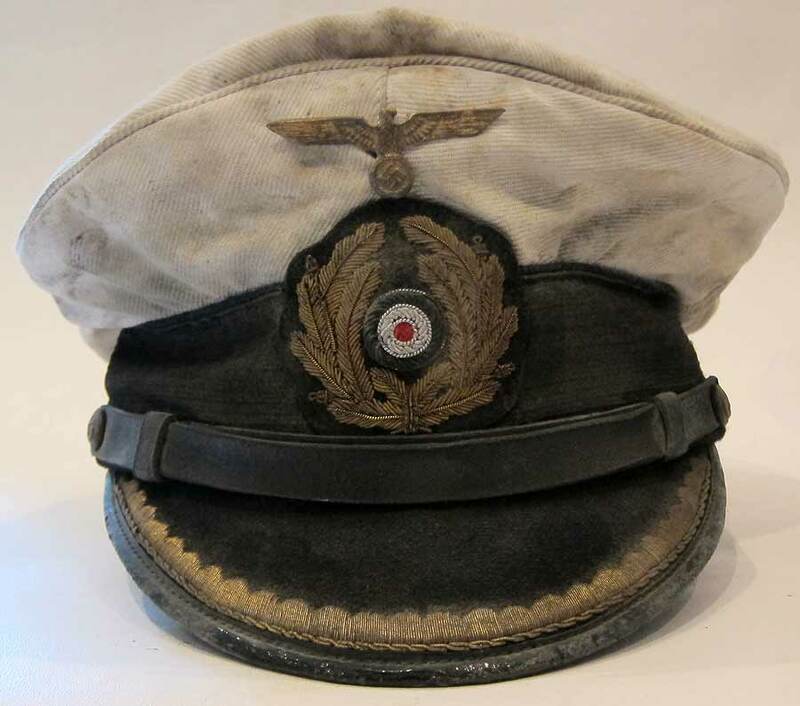 This small sized peaked cap was worn by U-boat commanders during WW2. 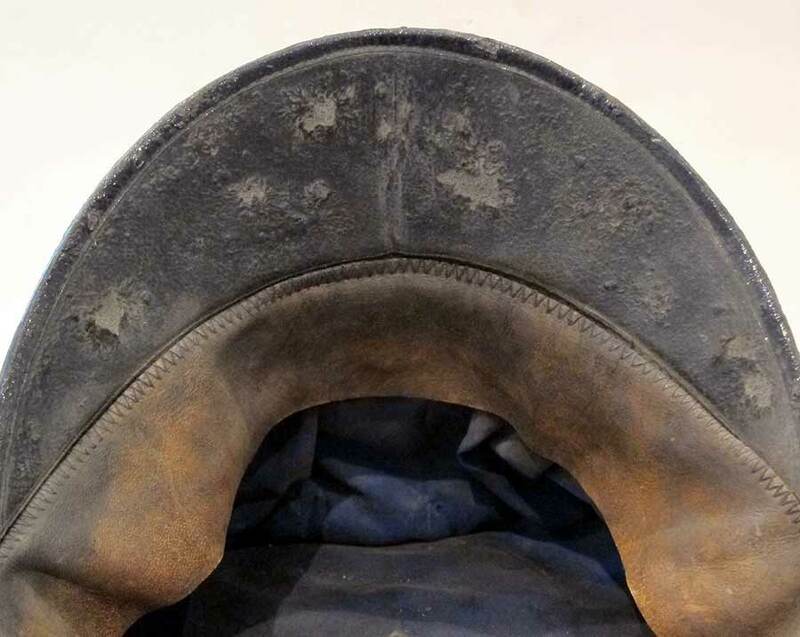 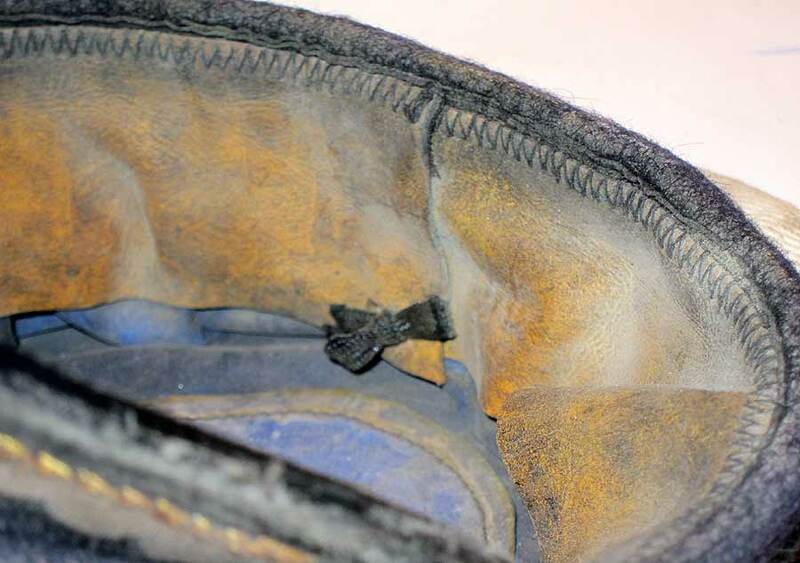 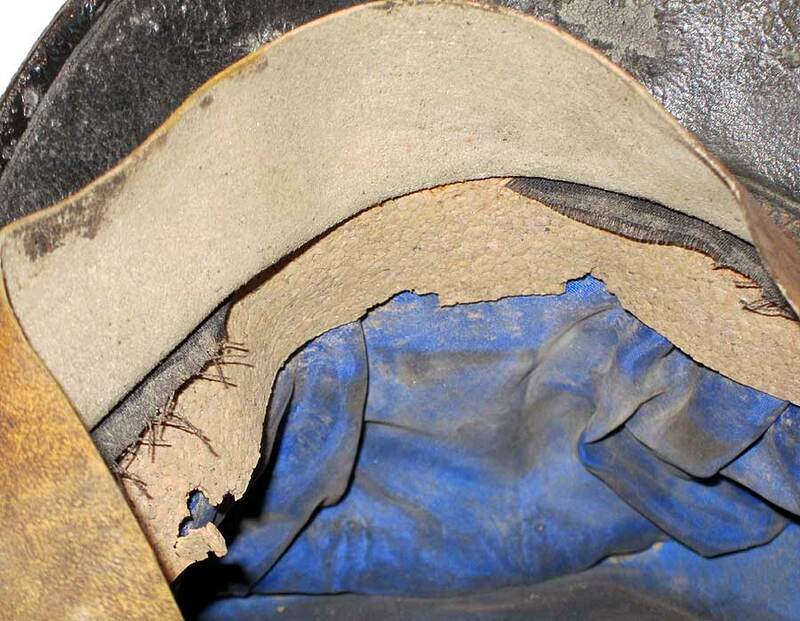 It is heavily discolored from age and wear and has several oil and dirt markings.The black band is also very thread worn and showing ageing in places! 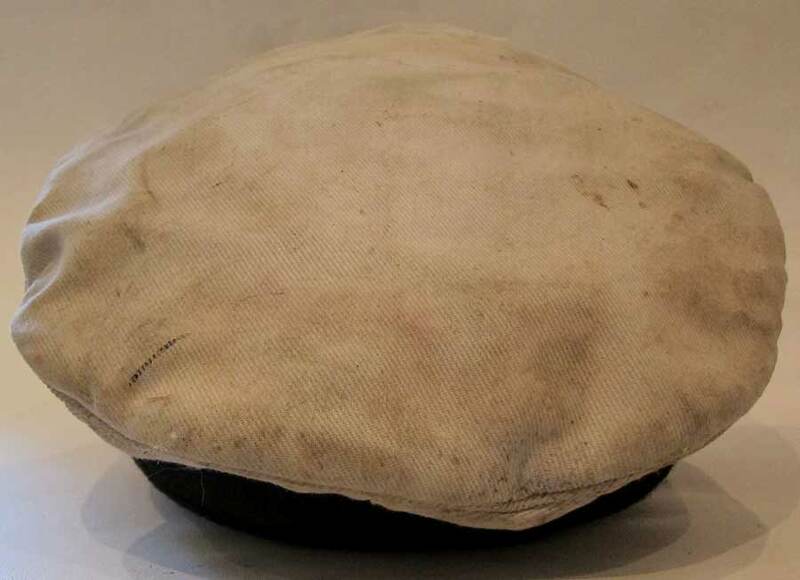 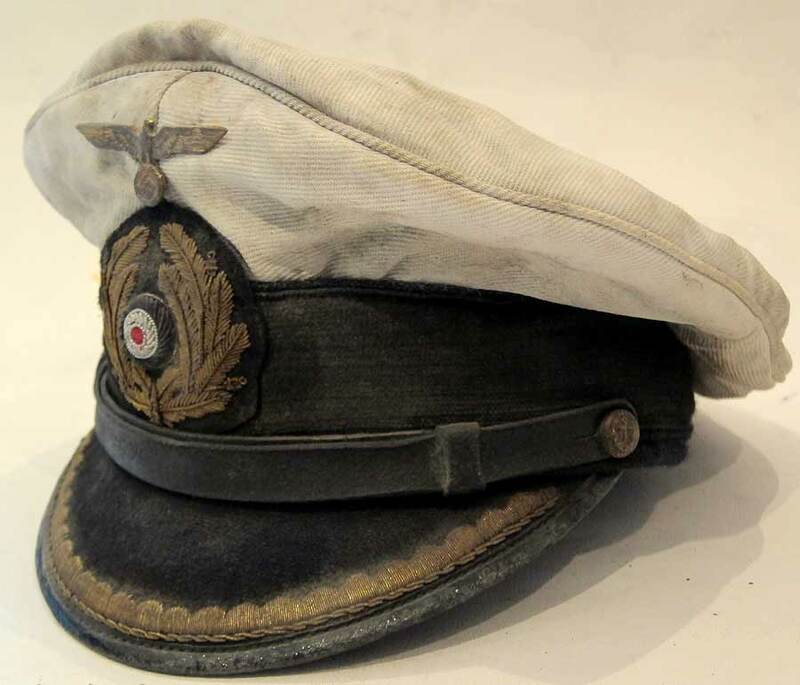 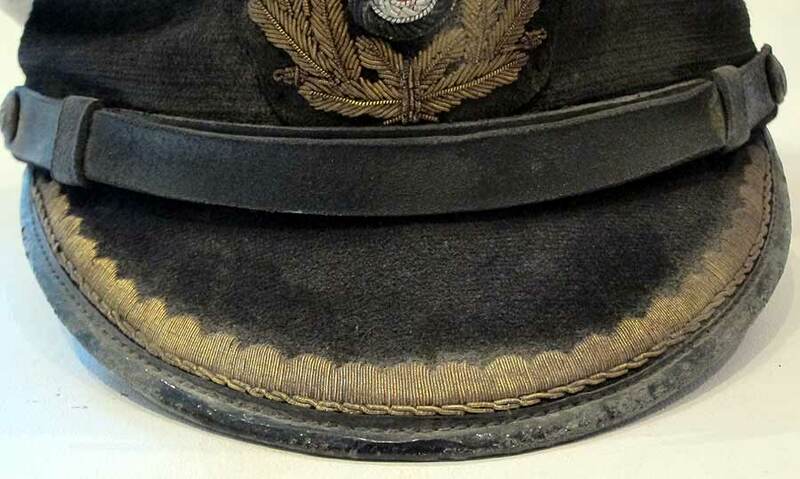 This cap is a first rate reproduction, most white topped u-boat caps were private purchases and many had the embroidered eagle. 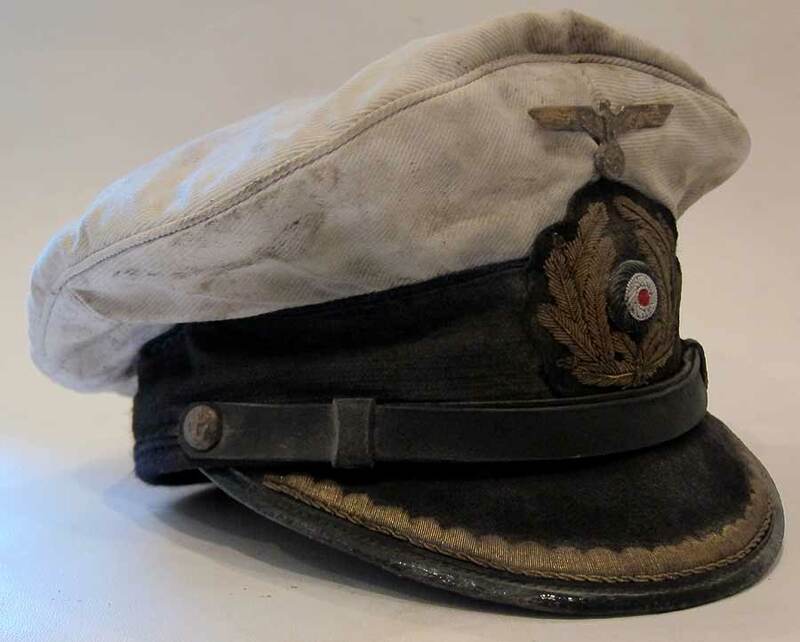 This one has been commissioned with the metal Kriegsmarine eagle, which most likely indicates he came up through the NCO ranks or perhaps liked the uncluttered and no nonsense look! 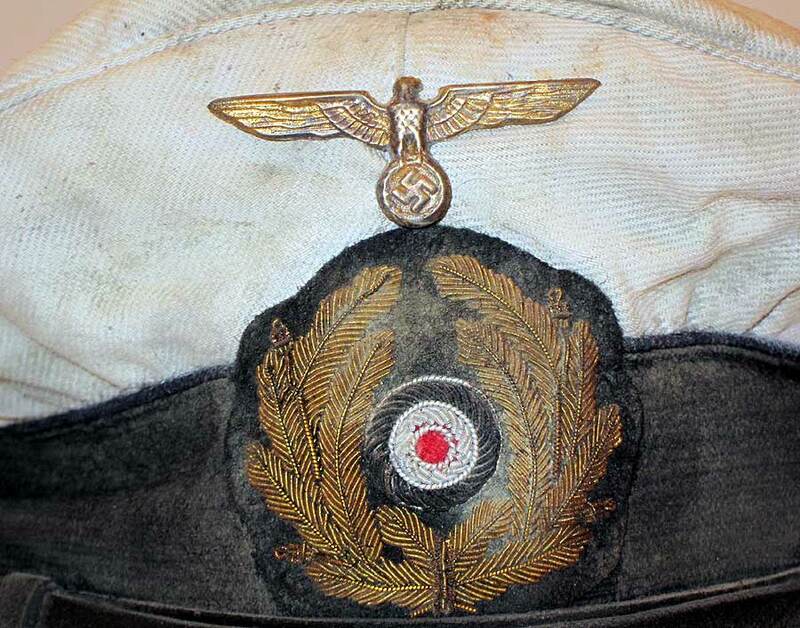 Notice the tarnish to the eagle and the anchor buttons to the side. UK £270 GBP Full insurance included. 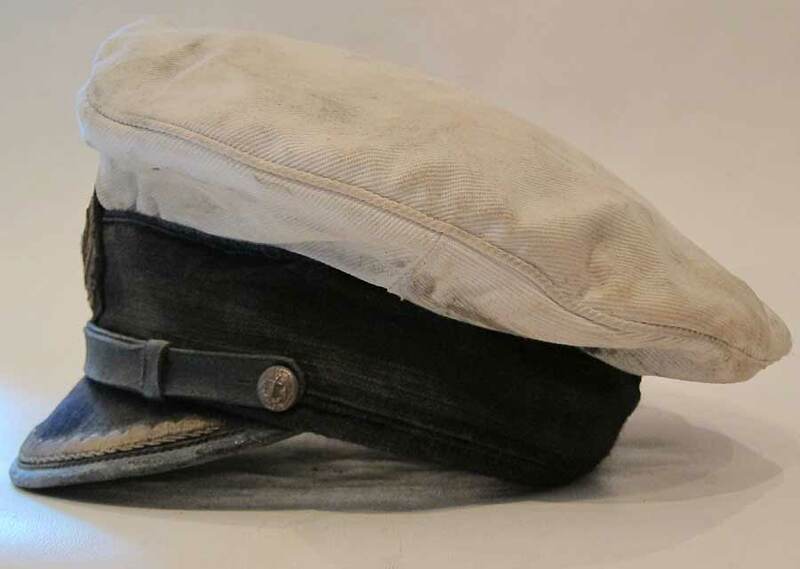 USA & Rest of World £285 GBP Full insurance included. 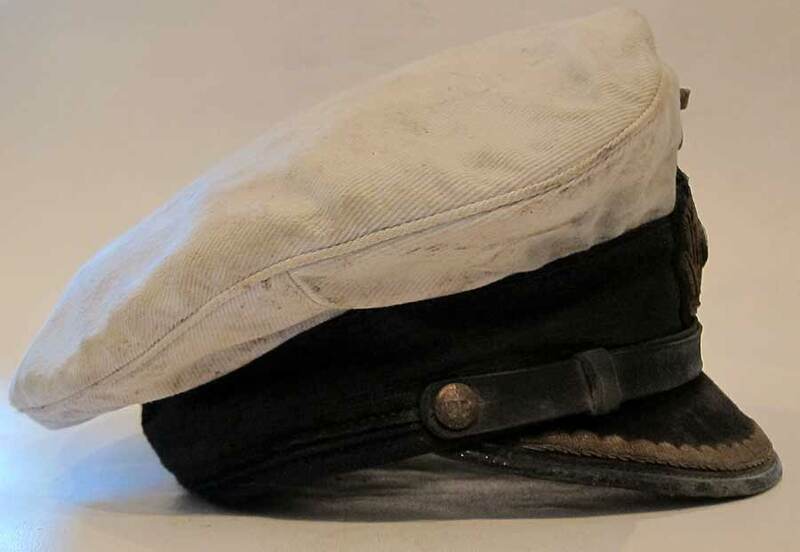 EUROPE £275 GBP Full insurance included.